In this months challenge I said I would show you what sort of changes you can make to a block. 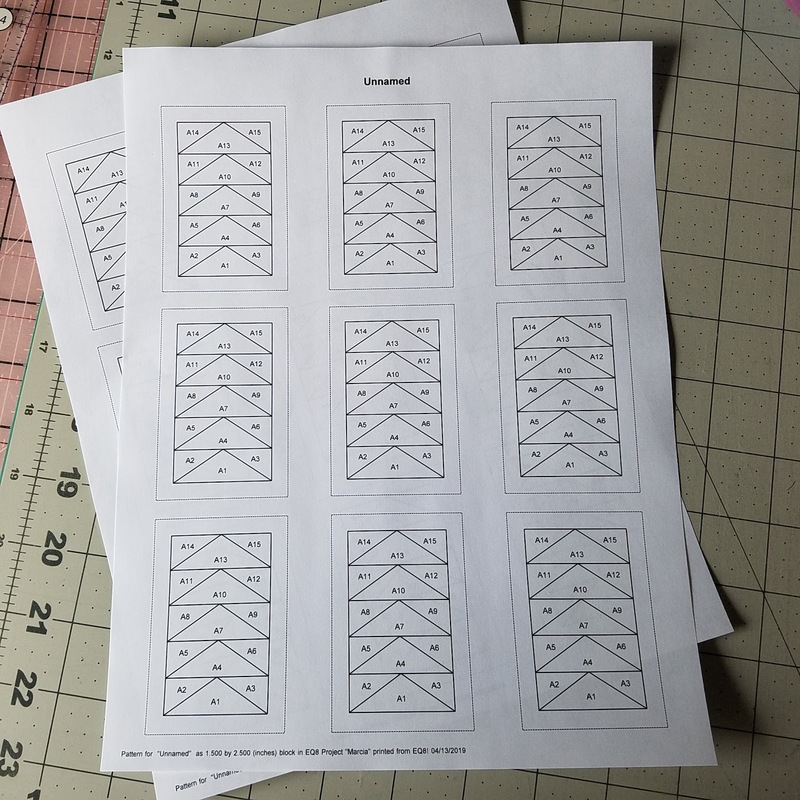 I started playing with block designs before I got Electric Quilt 5, but I have learned a lot about the program and block design by modify blocks from the in built library, and of course, blocks I have drawn myself. In the top row of the virtual sampler quilt above you will find a block as it appears in the EQ Block Library. I shared a little about my take on Bonnie Hunter's Blue Ridge Beauty in early February. I didn't have a bunch of blues, so I decided to make it with a bunch of reds I had on hand. 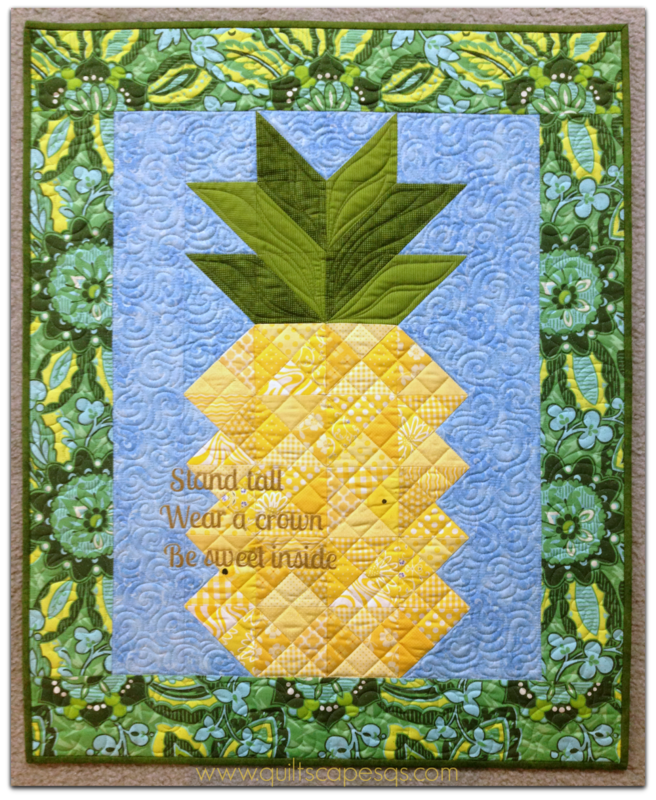 The block design is Blue Ridge Beauty from Bonnie Hunter's book Adventures in Leaders and Enders. 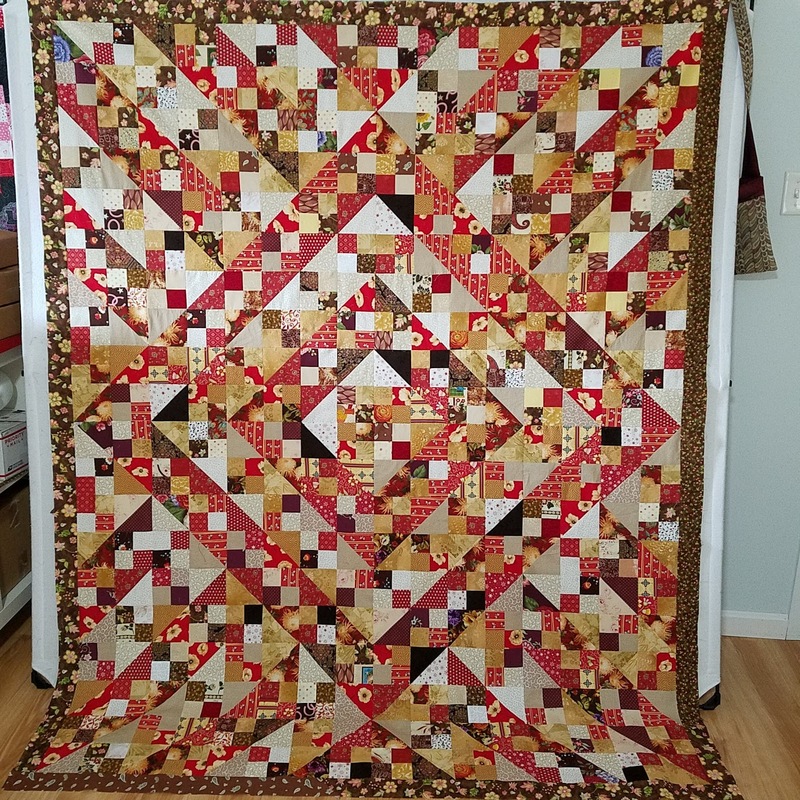 I decided to play with the layout in Electric Quilt (I use EQ8). I liked this layout so I rearranged the blocks until I had it on the design wall. I should not have set foot in my sewing room at all yesterday. If there was such a thing as a Quilter's Horoscope, mine for yesterday would have said "Avoid rotary cutters and scissors at all costs! 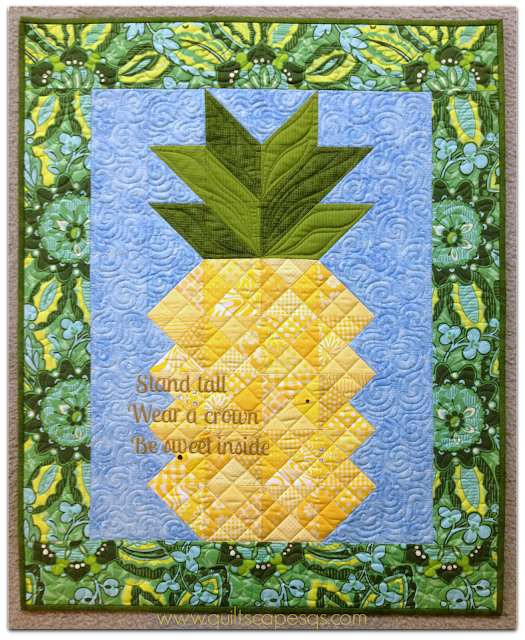 Spend the day looking at other people's quilts on Pinterest and Instagram!" the weekend of thanksgiving . . . from Count it *all* JOY! 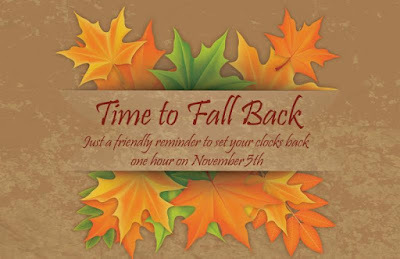 This is going to be a culmination post ... covering the long weekend which isn't really over, because we get Monday, too -- but that will be for another day's post. Wednesday was pie and prep day. I love pie and prep day! This year's was particularly good because I found the *best* pecan pie recipe. 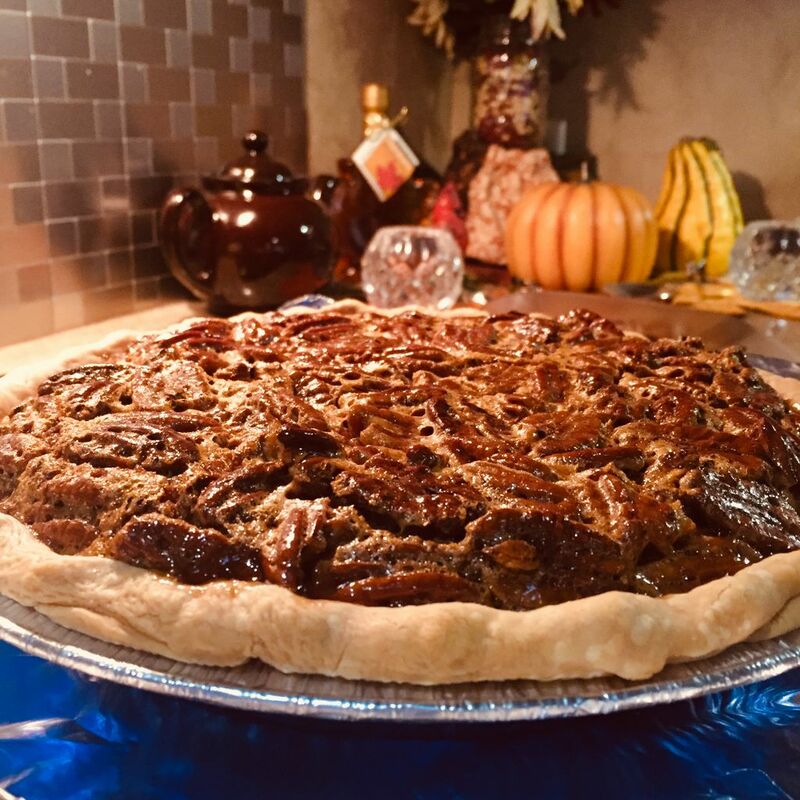 Pecan Pie is Todd's favorite, and for years I've struggled to find a recipe that felt no-fail and tasted delicious. March was a busy month. I finished the dresser set and the Scrappy Birds quilt, which made room for new things on the list. 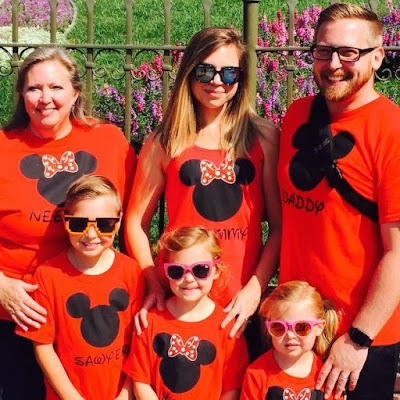 I’ve delayed writing this post because I struggled with choosing something for the new category. I realized in March that if I want to move original ideas into form, I’m going to have to add a design category. Some people work by just cutting up fabric and sewing it together, but I’m not one of them. I need to think and sketch and think some more. 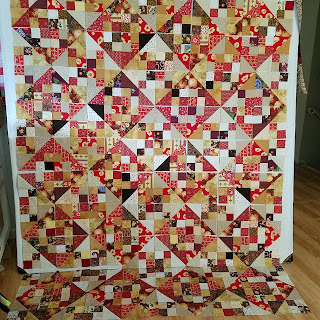 My OMG for March was to finish piecing the Random top, add the first border and remove all the paper. 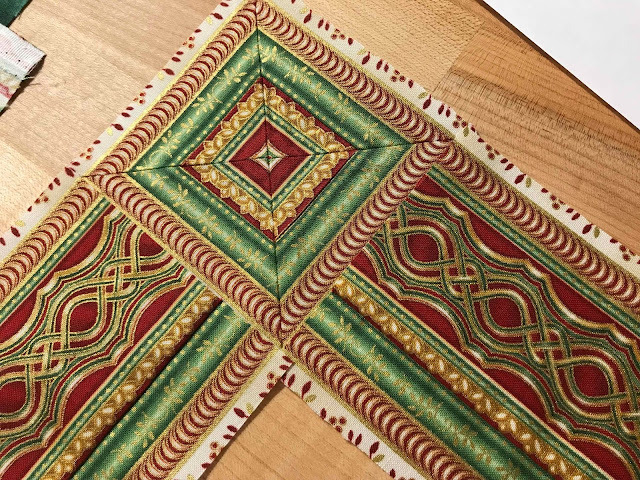 I originally planned to add three borders to the quilt, one of them pieced. 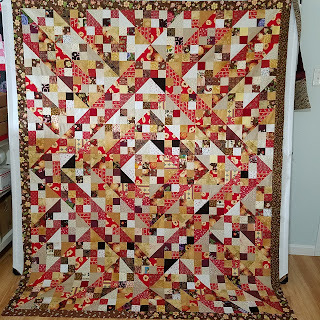 After sewing the top together, I decided that was too many borders. 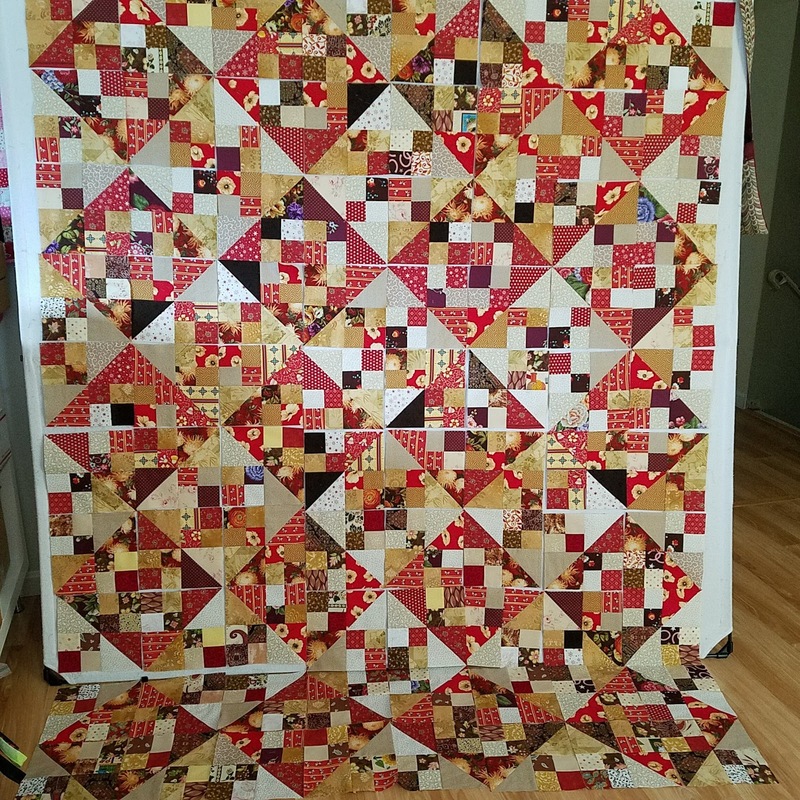 The top is finished without the pieced border. 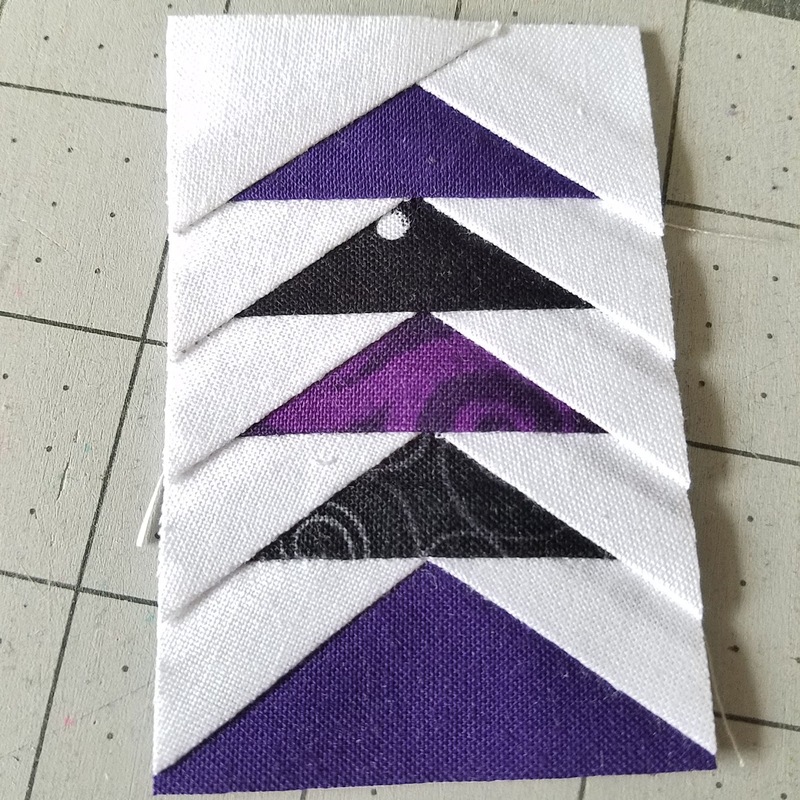 That puts me a little ahead of the game on this quilt and makes me 4 for 4 on my OMGs. I’m linking up to Elm Street Quilts. The next report will mark the end of the first quarter. If that number represents 25% of what I’ll use this year, I’m in big trouble. I spent most the week removing the paper from Random. 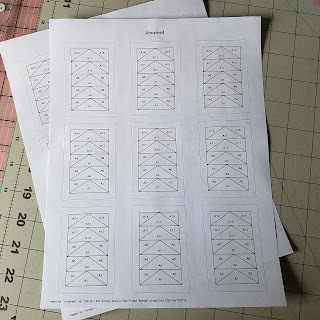 I will never paper piece that way again. I’ll finish removing it today, after investing hours. There must be a better way. 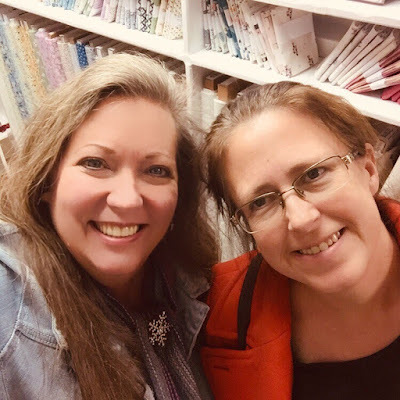 Hi, and welcome to Quiltscapes! The quilts I make are becoming smaller. Is it just me, or has this happened to you, too? 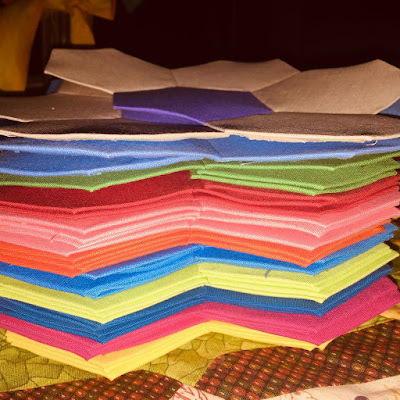 When I first dabbled in quilting, I made quilts for everyone in my family. King size, queen size, no matter that they dragged on the floor around the kids' beds. Once those were made and everyone's beds were all covered, I thought, what now? I was hooked and wanted to make more! February was a fast month. I finished the Surface Design Round Robin and the Bouquet quilt (UFO). My Art Quilt Group decided to stop passing the Round Robin pieces, which eliminates that category. I’ve learned so much by adding the OMG designation to the list because it forces me to finish old projects. 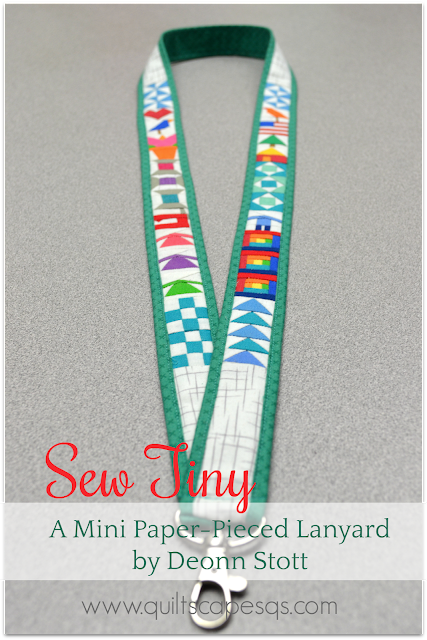 It reminded me how much I love applique and other things I stopped doing because of limited time. Slowly, I’m bringing those things back. come and gone . . . from Count it *all* JOY! Can you believe we're already into November?? How did that even happen?! 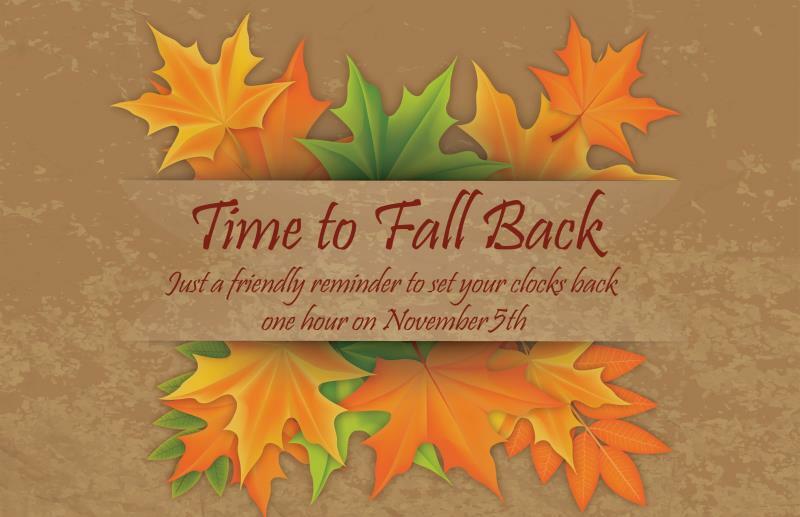 And did everyone that needs to, fall back an hour? a mixed bag . . . from Count it *all* JOY! I did some VERY BADLY needed organizing and deep cleaning in the Nook two weekends or so ago, so I've been able to spend snatches of time as they come along, working on an assortment of projects. One of those is actually two of the same piece, mostly, which I created as a gift and then did another for a swap. It hasn't been gifted yet, so I'll just show a little intriguing bit . . .
♫♪ i'm baaaa-aaaaack! ♪♫ from Count it *all* JOY! I had a lovely time with the Panter crew in Irvine . . . lots of hugs and snuggles and kisses and laughter and good times. I hated getting on the plane, on the one hand, and leaving that precious family behind, but on the other hand, it felt good to be home and to sleep in my own bed and be surrounded by my Merkel girls and my sweet husband. Conundrum. I'll share more about my visit, complete with pics, later. 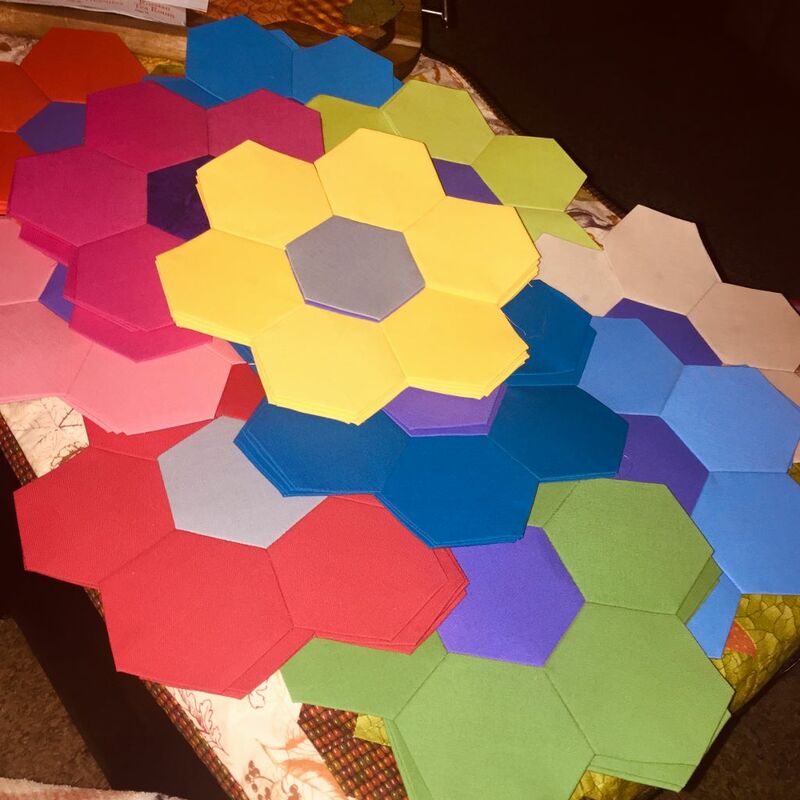 For now, I really want to share whats going through my brain on the hexie train!